Heading towards the edge? Then take your time. A few months ago I posted an article about using focal lengths, and more precisely, how they can be used to control the balance or dominance between foreground and background subjects. In it, I spoke about how it's not uncommon to be attracted to the edges of a landscape. For instance, I'll often find myself heading towards the edge of a lake, or the edge of the sea and I've also found myself on occasion close to the edge of a cliff. If my habit is to always go straight down to the edge of the sea/lake/loch/cliff, this can be a real limitation in terms of controlling background and foreground dominance. As explained in my previous article about focal lengths, part of my technique in balancing foregrounds with backgrounds is by how near/far I choose to be to my foreground. Anything at infinity stays at infinity and does not change in size as I move ten feet forward/back but my foreground changes in size dramatically. By automatically heading towards the very edge of a lake, I'm reducing any opportunity to use this technique to it's fullest. I'm also losing out in another way too though. I miss out on exploring the parts of the landscape that I pass over to get to the edge of the water. This is the main point of this post today. I've often found many great compositions whilst on the way somewhere. I think this is because as much as I can latch on to one area of a landscape and feel it might be very interesting to work with, I actively keep my mind open to finding and noticing other things while I make my way towards it. I'm just wondering though - is this something you do when you choose to head from the car to a designated spot? A little bit like a life-metaphor, I think we can often miss out on opportunities as photographers because we're too focussed on being somewhere else. These days, I like to start at the back of a beach and slowly work my way forward. I'm well aware that small areas of a landscape can yield interesting compositions and I'll often find myself working with an area of a beach which is around 4 feet long for an hour or so. This is why I prefer prime lenses because they force me to fit to the landscape, rather than me command the landscape to fit to my own rules. With a prime lens, I'm forced to move around to fit things in, whereas with a zoom it's often too easy to feel I can just stay in one spot and change focal lengths to get everything to fit together. By doing the later, I miss out on finding new compositions in my immediate surroundings whereas with the former, I'm encouraged to explore. I feel good photography is not simply about technique or being there at the right time. But more about temperament - how patient/impatient I am, and how I tend to latch onto an area of the landscape and become blinkered and ignore the rest. Self-awareness, of knowing how I can behave, has become a vital photographic skill for me. I know I can sometimes choose to close my eyes to many photographic opportunities. Just having this knowledge has helped me reconsider what I may be passing up on - particularly so when I'm heading towards the edge of landscape. When I started out on my photographic journey, there were a few key photographers that I think helped point me in the right direction. For instance, Galen Rowell gave me permission to follow my traveling-dreams, while Michael Kenna showed me that it was totally ok to create a 'new reality' through heavy manipulation in the dark room. But there is one photographer that showed me that nature and natural scenery often possess an abstract depth to them that can be utilised to create strong imagery. That photographer is Paul Wakefield. Wakefield's compositions of well known places are often unique, showing that there is always an abstract shape or form to nature's design. I find his images of anonymous landscapes - the kind that many of us tend to overlook - just as powerful as his images of the iconic places we know so well. For those of you who aren't familiar with Wakefield's work, he has been a terrific influence on many notable landscape photographers. I know for instance that Joe Cornish often cites Wakefield's images of Elgol on Skye to be the catalyst for him deciding to venture there in the first place. A few months ago, I received news that Wakefield was due to release a monograph of his work to date. I bought my copy in a matter of seconds, because I so wished to experience his beautiful work in more detail than I can on a website. The edition I bought is the £175 collectors edition in a clam-shell case with a print signed by him. There is also a standard edition at £48 available from Beyond Words books here in the UK. The book is beautifully presented and printed on very nice matt paper. 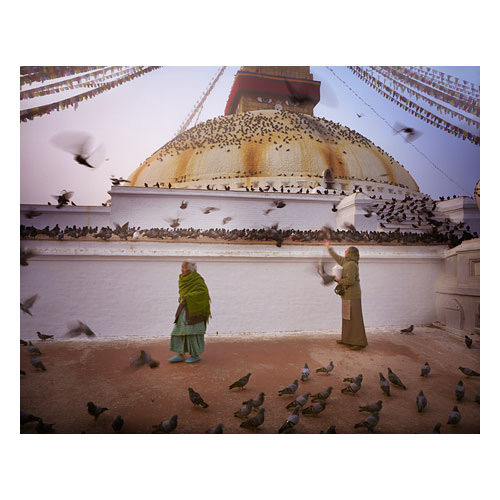 It is a large book and is very much in the style of a classic Ansel Adams monograph. 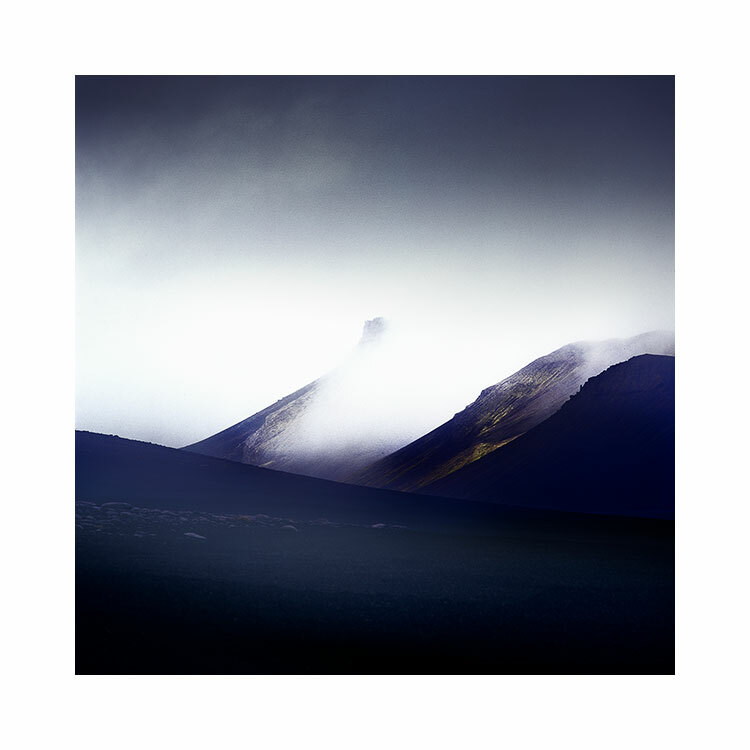 I think all landscape photography monographs should be printed with a timeless-air of design to them, and Paul's book fits this category unreservedly. 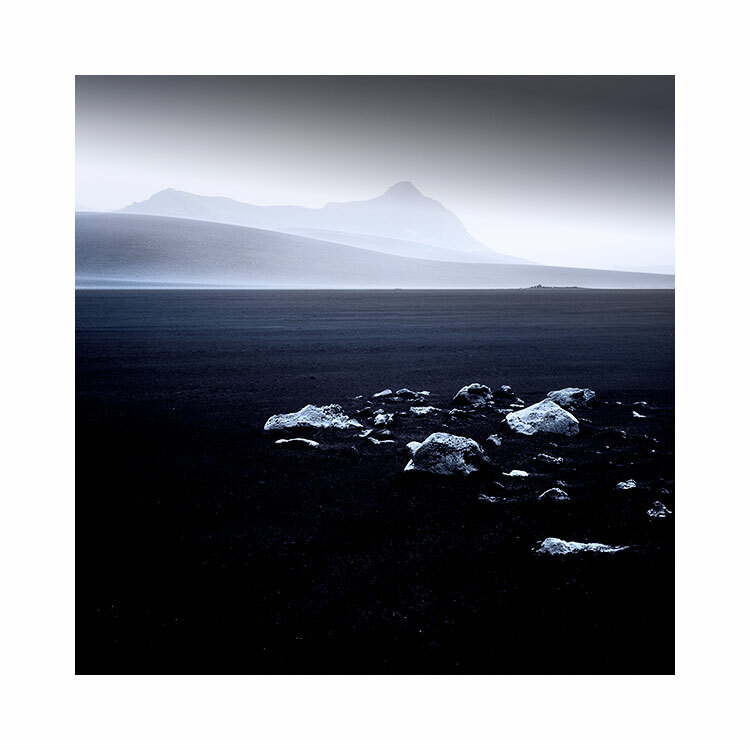 It is perhaps my favourite landscape monograph since Michael Kenna's Huangshan book (which you can read about here). On a side note, there are a few images in Wakefield's book that take me to places I know well: the Lofoten islands of Norway, Torres del Paine in Patagonia and the isles of Harris, Skye and Eigg. It seems that Paul has been more of an influence on my own journey this past decade than I had originally thought. What is so joyful for me then, is to experience a different perspective of these places - sometimes I found myself doubting if his images were of the places I know, because his compositions often offer an unexpected view. It is his skill for assembling great compositions in such a way that I find the most enjoyable in his work. I remember asking him a few years back if he could confirm that one of his images was of Lago Sarmiento in Torres del Paine, to which he replied "don't you think images become more powerful when you don't know where they are from?" I would certainly agree with this. The book does indeed tell you where his beautiful images were shot, but it saves us from any interruption by leaving the images untitled, to enjoy for what they are, rather than for where they are a study of. For those of us with an enquiring mind, the locations are listed at the back of the book. I find this design choice a welcome one, because it removes any possibility of distraction while enjoying the work - images should be enjoyed first and foremost and analysed later. So I end this post with news that Paul Wakefield is holding an exhibition this month at the Redfern Gallery in London from the 8th to the 26th. The gallery currently has stock of his beautiful hard bound book. The standard edition is available on-line from Beyond Words books here in the UK. I've been in Norway for the past three weeks running two consecutive tours. While I've been here, I've had a few discussions with participants regarding the validity of using spirit-levels when composing. In this post, I'd like to put forward a counter-argument for using spirit-levels when doing landscape photography. I'm sure some people will disagree with me or feel that spirit-levels have helped them a lot, but this is really just my point of view, so bear with me on this one. 1) The first is that we are only levelling our camera with gravity. We are not balancing the objects within the frame when we use a spirit level, and this is where we get it wrong. Many horizons are what I call 'false-horizons'. A false-horizon is one where the contours of the land are not in sympathy with gravity. In the image example below, the edge of the lake appears to be higher at the right-hand side of the image and lower at the left-hand side. The camera had been levelled with a spirit level, yet the false horizon is not level with the frame of the image. a) I need to level objects within the frame - with the actual frame, and not with gravity. b) balancing objects without the aid of a tool such as a spirit-level means I am more in control of the overall composition. I have to think more about where all the objects are and how they balance with each other. I believe using a spirit-level takes this level of awareness away from me, and thus the compositions I would come up with are less focussed as a result. I've rotated this image by 40 degrees to simulate how you would see this composition if you were viewing it through an eye-piece or on a live-view screen with your head cocked to 40 degrees. In the process of doing so, we find the image a little harder to interpret and understand compositionally. But here is the point: it's not easy to tell if the horizon is level in relation to the picture's frame. It looks level within the context of the frame its in, but is it really? Looking straight on to the picture, we can now see that the horizon is actually off. That's because we're able to interpret things more easily when we are head-on with the camera. Not when we've got our head cocked sideways. You could argue that the image is still not straight. I think the real answer is that the image is as straight as it can be, taking into consideration all the keystone distortions that are apparent in the composition. We've somehow balanced the left-had side of the house with the right-hand side, and decided there is some level of balance in there. We levelled the contents of the picture within the context of the frame. Not with gravity. Ok, I know it's not easy sometimes to get your head level with the eye-piece of your camera, but I always make a concious effort to try to get my head as level as I can. If it means I need to lie down on the ground to keep my head level with the camera, then I do it. If it means I need to bend my legs to keep my head level, then I will do it. Because when I am level, I'm not only able to notice if my false-horizons are level, but also if all the objects within the frame balance with each other. In other words, having my head level with the camera enables me to improve my compositions. A spirit-level only levels our camera with gravity, but it does nothing to help us understand and fine-tune our compositions, and it does nothing to help us balance false-horizons. We must learn to level our images based on what is within the frame, and the only way to achieve this, is to keep our eye level with our camera. Let your eye, rather than a spirit-level decide what is good. It's really up to your own internal sense of balance and composition to get it right. I've just had a cancellation for my Isle of Eigg workshop this April (14th to the 19th). If you're interested in coming, you can find out more here, and book the trip here. Last year, Ragnar Axelsson released his 3rd photographic book. I was lucky enough to pick up one of the first copies while in Iceland running my yearly September trip there. I'm a big fan of RAX's work (as he prefers to be called). To my eyes, he is more a photo-journalist than a traditional landscaper - someone who is more interested in the people and their mark on the places they inhabit. I love many types of photography - not just landscape, and RAX's work is interesting because of his reportage style, his use of black and white, and of course, his deep connection with the subjects he chooses to photograph. This new book has been given two titles. In his native Icelandic it is simply known as Fjallaland, because it is about a very special region of Iceland - the Fjallaback nature reserve. The english title for this book is 'Behind the mountains', because I think it would have been hard to market a book about a relatively unknown, specific region of Iceland outside of the country. The title I might add, is very appropriate, because this book observes the farmers on their yearly roundups, gathering sheep, in one of the most difficult but also magnificent grazing terrains of the Icelandic wilderness. I loved how this book begins. Instead of being immediately greeted with the signature style of RAX's black and white 'fly on the wall' reportage photography, we are instead prompted to look at the Fjallabak region from space. There are a number of very high quality, satellite images of the region, showing the complexity and composition of the land here. Fjallabak exhibits a range of colours from greens to reds to yellows. This is because the land is made up up Ryolite, Obsidian as well as volcanoes, rivers, sands and lakes. As we continue to delve further into the book, the images change to ariel views of the Fjallaback region. More of a birds-eye impression that shows us how large these mountains and their valleys are. This slow zoom-in from space to the region where the farmers work is an effective introduction to the book. I liked this very much as I felt the stage was being set for RAX's photographs of the farmers working in this remote landscape. So what of the subject matter of this book? Well, it's really an essay of images, garnered over a span of several decades about the yearly sheep rounding the farmers do up in the hills. For many of them, it is a special occasion and one not to be missed. My own impressions of this book was that it is RAX's best to date. Whereas his other two titles were broad in their scope of subject matter - be it faces of the north, or looking at the problems faced by the Inuit of the arctic, this book is more tightly focussed on one region of Iceland. It's clear to me that this is a work of passion and love. RAX has a deep connection with his subjects and is on personal terms with many of them. He has been part of this yearly round up for quite some time, and the images convey this very strongly. I also felt that because the subject matter was more specific than his previous work, that so too were his images and his essays. If you have an interest in reportage photography, or an interest in the life of people in Iceland, or even like me, if you just feel you have an affinity for the place, then this book should be on your bookshelf. RAX's text is often brief, but when he does speak to us, we learn a lot about Icelanders and how they view life, and how they think and feel about their own little back-yard. If you wish to see more images from the book, they are on RAX's site here. Behind the Mountain is available in the UK at most book stores, or online, but if you wish to own a signed copy, I believe Neil at Beyond Words book store has a limited number of copies available. Triplekite publishing has released a very beautiful soft bound book by David Baker. ‘Sea Fever’ is a photographic monograph about the power of the sea. Like a Turner-esque painting, the cover image sets the stage well for what is to be found within its pages. I particularly like the cover image. With a break in the clouds situated right at the heart of the image, I felt drawn in - invited almost, to come and engage with this book. Making a book is not an easy process. Having published two books myself, I fully appreciate that there are many design considerations, and plenty of discussions that happen along the way. And often the way a book ends up looking is the work of a very long and thoughtful process. This book is tall, and large - a decision I think to enable the power of the sea to be conveyed to the reader when viewed as two-page spreads. It is also a soft back book, and very light to hold. I enjoyed going through it as it was never a cumbersome book to handle. It felt like a very large, luxurious magazine that encouraged me to engage with it. This was possibly due to its flexibility, which worked well with the content it conveys, because it enabled me to twist and re-shape the contours of the sea to my own pleasing. Rather than the images being fixed and my viewing being forced to settle on the work from one static aspect only, I felt I could engage, and play with the book more. I liked this aspect very much. I’m no fan of images spanning two pages and I often dislike images bleeding over the very edge of the paper, for me, I like to be able to take in the entire compositional aspects of an image in one go. Often a break in the middle of the image (due to spanning two pages) can be irritating or unpleasing at best. Many of the sea images in this book do exactly that, but I was surprised to find that it actually enhanced my viewing experience, rather than detract from it. In this instance, spanning big images of turbulent sea across two pages works like an IMAX cinematic experience - these images fill your entire field of view and the result is that we are told that the sea is powerful, the sea is overwhelming. The same can be said about the images bleeding to the very edge of the page. I think it was a very effective design choice to do this because it conveys the message that there is no end to the power of a raging sea. Also, because of the very abstract nature of many of the images contained within this book, there is less of a need to avoid page splitting. The images are less about order, and more about conveying power. We are not here to study graphic forms, but more to enjoy nature when things get dramatic - as the title of the book conveys. So I have to give a lot of praise to Dav Thomas whom I think was responsible for many of the design considerations of this very beautiful and engaging book. With regards to what this book has to offer, it is a monograph. It tells a story in visual form only. There is very little text, and that is fine by me. I often feel that many photographers wish to learn from the photographer, and they think that learning will come from reading text. I think you can learn a great deal about the photography and the photographer by simply studying their work - the answers are in the imagery. All we have to do, is be open and let the photographer take us on their journey. Submit rather than dictate. The photographer has a lot to tell us, so sit back and let him do that. And a good book will do exactly just that, and in this respect, this is a very good book. I am looking forward to seeing what other subjects Triplekite will handle in future. Sea Fever is available from Beyond Words book store for £25. I've been listening to a lot of Icelandic bands this past year and one thing that has struck me is how open many of them are to messing around with the sound quality of certain instruments in the production of their songs. Some parts of the music are deliberately distorted, or are messed around with so much, that they have become almost shadow facsimile's of themselves. Instead of hearing the actual instrument, I feel I hear an imprint, some kind of aural residue. It's a really effective way to take the listener on a journey, one where you engage more with the music. Here's one example, by an Icelandic duo (twin sisters), called Pascal Pinon. The song is very beautiful, but also, so too is the lo-fi quality of the piece. The song was produced and mixed by Alex Sommers (he is the partner of Jónsi (pronounced Yonsi for those who are not familiar with Icelandic) of incredibly famous band - Sigur Rós fame). Alex is a genius at production. So this has got me thinking about image quality, and how we often strive for the best resolution we can. And I believe many of us think that by having utmost image quality, the image will be more enjoyable to view. That is certainly true some of the time. I think there is a valid place for utmost resolution in imaging, but so too, is there validity in all forms of image quality, be it soft, blurry, fuzzy, noisy, underexposed or overexposed. Seeking perfection in image quality is not a symptom of the digital imaging age. It has always been a preoccupation for photographers through the ages, regardless of whatever medium they were using. In the instance of film users, there has always been a portion of the photographic community who strive for finer grained films, or larger negatives in the pursuit of high-fidelity imaging. This is of course a nobel quest and one I would not disparage. It's just that I think that going the other way - reducing image quality, intentionally, is just as valid and nobel a pursuit as any. With music, we can create depth to a piece by using different frequencies - we can also add a sense of 3D by mixing high-fidelity sounds with low fidelity ones, as well as bright and dull sounds. Complex interplays of varying audio quality lends a sense of space to the music. Similarly, messing around with the tonal range of an image is just as valid. Not everything has to be 'punchy', or have high contrast. Mixing in low-contrast areas with high-contrast areas opens up an additional dimension to an image. But this does not stop with tonal range. We can add additional ways to interpret an image. Most of us think about tones and contrast, but varying the level of detail within an image can bring an extra dimension to the work. It is just as valid to have areas of the frame where there is lack of detail as it is to have areas where there is a lot. Softness tends to make the eye pass over an area of the picture, whereas sharpness attracts the eye. So in my view, I believe that images where there is a deliberate degradation in resolution is welcome, and can be beautiful if the treatment is appropriate. I think there's beauty in softness. Softness lends ambiguity to an image or a part of an image. There's something fascinating about the unknown, about wondering what something meant, when we only have a fragment, a clue to work with. When areas of the frame are soft, we have to fill in the gaps. Similarly, any flaws can be beautiful. Flaws introduce a sense of randomness, which often lend a certain uniqueness or 'character' to the images we create. Low-fi images have a way of engaging our emotions and dreams, in a different way than hi-fidelity images do, simply because there are things left unsaid, or half-revealed. We should embrace low-fi quality as an additional tool to our imagery, and not attempt to banish it. After all - all images are wonderful if they capture the spirit of a mood or emotion or feeling, since seldom do we throw something out if it possesses such beauty, even if it is flawed in some way.